Community Care Ambulance provides quality healthcare services for communities in Northeastern Ohio including Cleveland, Akron and the surrounding areas. As a health services provider, we care about the well-being of our communities and frequently use our blog to provide health information. April is Donate Life Month, an initiative created by Donate Life America to bring attention to organ donation. Currently, there are more than 113,000 people on the U.S. organ donor waiting list. Here we’ve gathered information about both living and deceased organ donations and how you can register to be a donor. When we think of organ donation many people think of donations made after death, but there are several ways to make living donations. In fact, four out of every 10 donations are made by a living donor. A kidney is the most frequently donated organ from a living donor and 82 percent of patients on the donor waiting list need a kidney. When a person donates a kidney, the other kidney takes on the function for both. You can also make a living donation of one or two lobes of the liver, a lung or part of a lung, part of the pancreas or part of the intestines. Most living donations happen among relatives or friends, but you can register to be a living donor to help a stranger in need. This is a separate process from being on the donor list. To find more information about living donation, visit Donate Life America. One deceased person can donate up to eight lifesaving organs which includes two kidneys, two lungs, and a heart, pancreas and intestines. Donors can save even more lives through tissue donation which includes corneas, skins, veins, heart valves, tendons, ligaments and bones. According to the Department of Health and Human Services, 95 percent of adults support organ donation but only 58 percent are registered as donors. It’s important that everyone who wants to donate is registered because the demand is high and only three in 1,000 people die in a way to donate organs. Although no one wants to think about ourselves or loved ones passing away, making the choice to be an organ donor is a way to carry on life. Although it can be difficult, talk to your family now about your wishes and theirs to avoid having to guess what your loved one would have wanted when emotions are high. If you want to be an organ donor and you live in Ohio, visit Donate Life Ohio. If you’re in another state, visit https://www.organdonor.gov/register.html and it will direct you to the proper website. It only takes a few minutes to register. In many states, you can also register when you renew your driver’s license, however, it does not include tissue donation so if you’ll need to register online to specify your wishes. 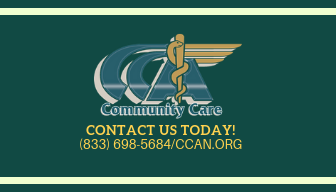 Founded in 1994, CCA is now one of the largest medical transportation organizations in northeast Ohio. We are a non-profit 501c3 serving Akron, Cleveland and surrounding cities including Andover, Ashtabula, Bedford, Chardon, Concord, Geneva, Lake County, Madison, Middlefield, Munson Township, Oakwood Village, Portage County and Warrensville Heights. We have extensive experience with municipal 911 contracts, urgent care centers, free-standing emergency rooms, nursing facilities and healthcare systems with ambulance, wheelchair and shuttle services. If you have any questions, please call us at 833-698-5684.